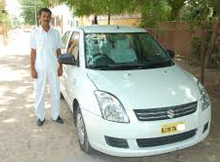 We are providing Car Hire Service In Jaipur More Than 2 Decades. Our Handsome Reputation Online and Offline Is Remarkable. We Have Experience Of Serving More Than 100K Clients From All Over The Globe. Our Efficient Team and Professional Drivers Will Give You Ultimate Worth Of Your Time and Money. Jaipur The City Capital Has a Lot To Explore. World Heritage Site’s Like Hawa Mahal and Tiger Fort , Amber Fort Lies In Jaipur. Rich Culture Along With Heart whelming Gesture is Strong Points For Jaipur. It Is Also One Of The Most Loved Shopping City For Textile, Gems, Jewellery and Many Other Products. The Capital of Rajasthan Jaipur City is Also Well Known as Pink city. The city is one of the fastest Growing city in terms of Business, Population, industries as well as infrastructure. The city Established in 1762 By King of Amber City (Now Known As Jaipur) Sawai Jai Singh ji is Developed in Two Parts . First part the Pink city is Walled Around from 4 sides and is the Main Area of the Major Population and local Markets. Rest is city developed around the pink city which has all urban facilities of a Metro. Our Company Is Providing it's services of Taxi Hire in Jaipur & Luxury Cars and coaches Hire For jaipur Since 2001. 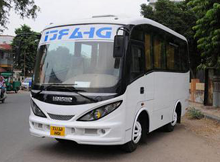 We Have Good Number of Cars & Buses in Our Fleet for Local And outstation Uses. 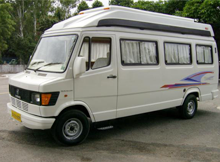 Rajasthan Car tour packages and jaipur tours Can be arranged as per your choice and comfort. We give Instant confirmation Upon Bookings as well as we have a team of 24X7 Assistance over the phone and emails in Your Service. We are one of the Known car rental company in jaipur. Our Drivers are Punctual and well Behaving. We provide on time services Every time. 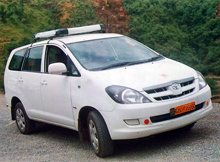 Taxi hire for same day tour in Jaipur or for outstation is always worthy with our company. We take care of Student packages, corporate meetings as well as family Marriage Parties and Airport Pick up drop Services in Jaipur. The 2 Most Popular & Worshipped Temples Of Rajasthan Salasar ji & Khatu Shyam ji are Situated in The Shekhawati Region Of Rajasthan. Distance from Jaipur to Salasar ji temple is 170 Kms & Distance from Jaipur to Khatu Shyam ji temple is approx 100kms. The Duo can be visited in a Day Time. Jaipur Ajmer Pushkar tour is a gud Option While your Short trip Or Honeymoon Trip In Jaipur Rajasthan. This One Day Trip Gives You Chance To visit The World Famous Dargah Sharif of Ajmer & The Only Brahma temple Of Pushkar. You Also Get a chance to visit Anasagar lake, Jain temple, Gurudwara Pushkar sahib & Pushkar lake During this trip. Tour During Your Short Weekend Trip Or Honeymoon VisitTo Jaipur You Can Also Visit The World Heritage Site Tajmahal & Fatehpur Sikri. This One Day trip Covers Fatehpur sikri, Tajmahal & agra Fort. Visit If you are a Wildlife Lover Or Adventure Person You Can Choose Our One Day Trip to Ranthambore Wildlife Safari. Along with the Tiger Park There is a famous Ganesh Temple In Ranthambore. You Can Also Visit During Your Visit Ranthambore Wildlife Sanctury. Complete Jaipur Sightseen Starts Early Morning &am From Amber Fort by Visitng the fort, Shila Mata Temple, Museum & Having An Elephant Ride. Onwards we visit Water palace and Gaitore. After this we visit City Palace & Jantar Mantar and proceed to Hawa Mahal & Govind Dev ji Temple. Late Afternoon we visit Albert Museum & Birla Temple. In the Evening you have a choice to visit Chokhi Dhani and Then Drop to The Hotel. Copyright 2018 by Jaipur Taxi Services. All Rights Reserved.